At Specific Sports Training, we're putting an end to cookie-cutter solutions and busy-work fitness training. We're helping everyone from elite athletes and competitive performers to everyday moms and dads find success. And we're doing it all with a personalized approach. Our Personal Training program is helping people all across Seminole find success. You could be next. 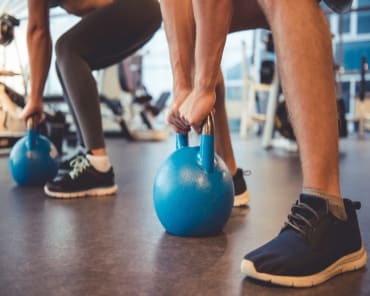 If you've been through a traditional fitness program, you've probably seen the group classes and bootcamps that bring together dozens of people in front of one instructor. Yeah, most people might get in a good workout and walk away feeling great. But what about the ones that don't? What about the people that can't keep up or the people that aren't challenged enough? What about all the people who want to achieve a specific goal and want professional support along the way? Our Personal Training program is all about YOU. Your goals. Your Priorities. And a focus on your unique skills set. Hoping To Compete At The Highest Levels? We're Here To Help You Make It Happen. Whether you're a student athlete that wants to be the very best at their sport or you're an adult chasing that elusive first triathlon or competitive race, Specific Sports Training is here to work with you hand-in-hand on the path to sustainable success. From day one, we'll design a program that focuses solely on the skills you want to develop. We'll help you become more efficient and effective in every movement and we'll help you understand the whys and hows of high-level performance. 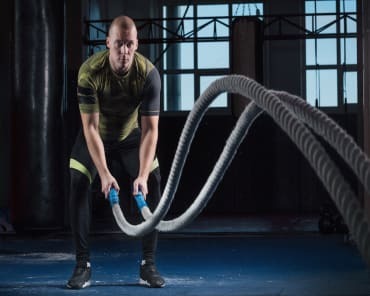 If you're ready to see real results and enjoy the support of a trained professional, come see us today at Specific Sports Training in Seminole. Our Personal Training program is great for people of all backgrounds and skill levels. We're committed to helping you achieve any goal you have in mind.